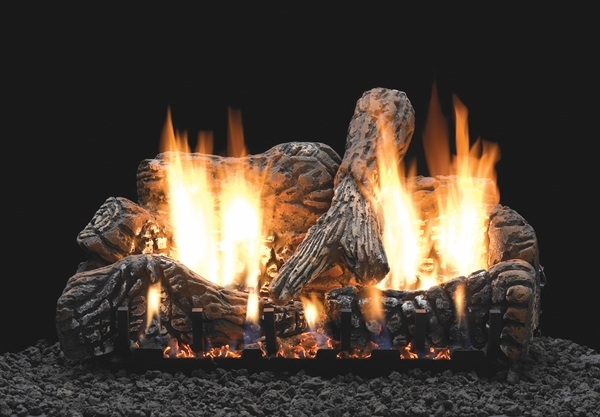 Create a no-fuss and no-mess alternative for your family or living room with a gas fireplace complete with realistic flames and logs that don't require chopping and stacking. Eliminate soot and smoke with a vent-free burner that comes in four different sizes to suit your room's dimensions. Whether you have propane or natural gas installed in your home, you can relax in front of a roaring fire at day's end with just a flick of a button. Choose from the manual, millivolt, direct ignition burner or one with an intermittent pilot. Enjoying a flickering flame and a warm room is easy when you choose a White Mountain Hearth fireplace.